Matthews Winery has sent out information on their Farm to Table Dinner Series. Matthews Winery and Creekside Farm are excited to invite you to this season’s 2016 Farm-to-Table Dinner Series. As many of you may have read, we’ve recently started a vegetable and flower farm on our property in Woodinville, called Creekside Farm. We’re pleased to announce that we’ve lined up three incredible chefs to cook a seasonal meal in our newly renovated tasting room and event space. Each dinner will feature a local chef from some of the most renowned restaurants in the Puget Sound region using produce from our very own Creekside Farm. All dinners begin at 6pm, and will include a farm tour with passed appetizers, a multi-course family-style meal and several wine pairings with all the courses. Price: $95/person plus tax and each dinner is limited to only 40 people per evening. Tickets for the dinners are now available! As a Matthews Mailing List member, you now have access to purchase tickets to any of these evenings. The remaining tickets will be made available beginning on Thursday morning to the general public members on a first-come, first-served basis. For each dinner, you may purchase up to 4 tickets. To say we are excited about L’oursin’s launch this coming Fall in Seattle is an understatement. 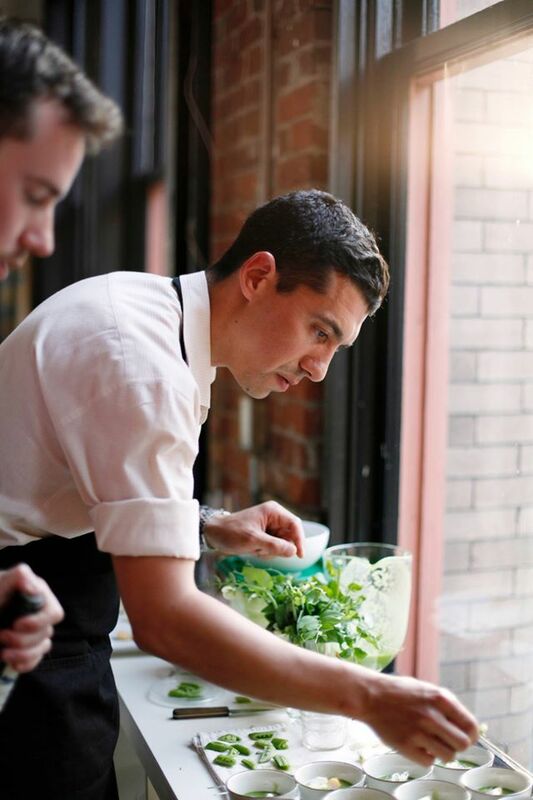 As one of the founding members of Creekside Farm, JJ is known for cooking with a delicate hand, always working with seasonal ingredients using a unique spin on classical French cooking techniques. This meal is sure to set the bar for the rest of the evenings to come. Logan only had one requirement: “I want to cook the entire meal over an open flame.”, he said. And what Logan wants, Logan gets. As head of one of our favorite restaurants in Seattle, we’re excited to see what he will do with all the fresh September produce coming from the farm. Now, we need to get back to building our fire pit for him to cook over. Barking Frog is the closest restaurant to Creekside Farm, and Bobby Moore has been intimately involved this year, sourcing produce for use in his Woodinville restaurant. We’re excited to have him out of the restaurant and cooking for us during this intimate evening. We are honored to have such incredible chefs to collaborate with on these dinners. Space is limited at each one of these dinners, and all ticket sales are first come, first served. We look forward to seeing you at one of them! Woodinville, WA – July 7, 2016. Celebrate Woodinville is pleased to announce the line-up for this summer’s first concert on Wednesday, July 20th at Wilmot Gateway Park. Grab your friends, neighbors, and chairs and come on down to this free community event where you can listen to music, sip local wines and beers, and enjoy tasty bites from local restaurants and food trucks.  Sol Stone  Sumerian Brewing Co. Celebrate Woodinville is presented by the Greater Woodinville Chamber of Commerce, in partnership with the City of Woodinville, Woodinville Wine Country, and the Northshore YMCA. 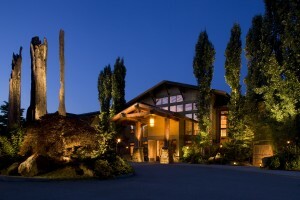 The mission of Celebrate Woodinville is to bring Woodinville residents together for family-oriented events, encourage a sense of community, and promote Woodinville’s wineries, breweries, cideries, local businesses, agriculture, and unique character to visitors from throughout the Puget Sound Region. Over 300 participants—including John Bigelow of JM Cellars, Darren Devoigne of DeVoigne Cellars and John Patterson of Patterson Cellars and more—will run (3.24 miles), bike (6.72 miles) and the kayak (.5 miles) to raise money for The Goodtimes Project, an organization dedicated to creating lifelong memories for children with cancer. Sample some of Washington’s finest wine, beer and spirits, while these makers go head to head. Enjoy eats from the Barking Frog food truck and tunes by Kalimba: The Spirit of Earth, Wind and Fire.